Atlantis is slightly less strong than the Hollandia truffle. But the Psilocybe Atlantis is strong enough to give you a stunning visual trip with beautiful visuals and colourful patterns. 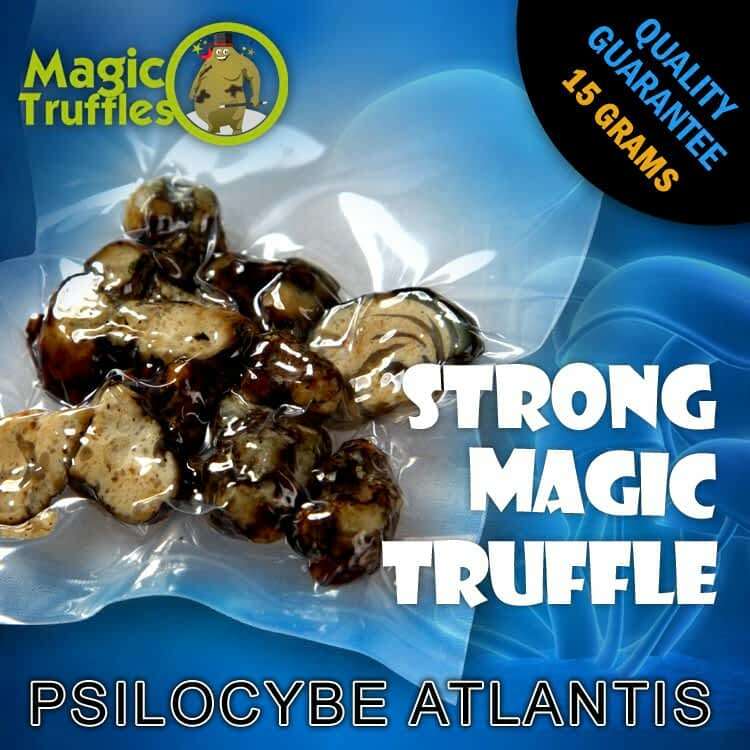 Atlantis magic truffles contain very high concentrations of psilocybin, a psychedelic compound with strong visual effects. Atlantis was discovered in Fulton County, Georgia. Atlantis is a close relative of Psilocybe mexicana A., but it has a slower growth cycle and is more potent than the other strains. The same strong effects as magic mushrooms. Now available per 15 gramm. Share your experience about Atlantis with other customers. Submit your tips or thought on this product, be detailed and specific.